Obesity is one of the leading causes of sickness and death in the United States. In fact, obesity-related diseases cause more than 300,000 deaths every year. Taking care of your health by managing your weight is one of the best things you can do to maximize your opportunity to live a long, healthy and enjoyable life. It’s worth noting that it isn’t necessarily the excess fat stored in an obese person’s body that causes so many deaths. Instead, it is the myriad diseases and conditions that frequently result from being so overweight. Gout is a disease that causes uric acid in the blood to rise to unsafe levels. This leads to painful flare-ups and pain in the joints. Everyone has some risk of cancer, but being obese can significantly increase the risks associated with cancer — and particularly specific types of cancer. Some of the cancers with the greatest increase in risk include kidney cancer, esophageal cancer, colon cancer and breast cancer. However, there is some evidence that other cancers can become more likely in some people who are chronically obese. Type 2 diabetes is a particularly unfortunate obesity-related disease. While some people are unfortunate enough to be genetically predisposed to diabetes, Type 2 diabetes is frequently linked to preventable causes, like obesity. Type 2 diabetes can lead to a significant reduction in quality of life and can severely reduce life expectancy for those diagnosed. One of the better-known complications associated with obesity, heart disease continues to be one of the leading causes of death in the United States. Heart disease is a broad term used to describe conditions such as a heart attack, stroke, high blood pressure, high cholesterol and a number of other conditions. Individuals who are obese but take significant efforts to reduce their weight and improve their health can reduce the risk of heart disease. The additional weight and strain that an obese person puts on his or her joints can lead to a number of conditions, including osteoarthritis. This condition is defined by the wearing down of cartilage in the joints, leading to pain, reduced mobility and numbness throughout various parts of the body. Obesity can lead to many negative health conditions. Take charge of your health today by managing your diet and getting your body to a healthy weight! Obesity has been a big health problem in the U.S. for years, and there’s no sign of it going away soon. In fact, more than one-third of adults in the U.S. are obese, and they face risks of developing serious weight-related conditions. If your body mass index (BMI) is 30 or higher, get to know the health risks that come with obesity as well as the options available to help you lose weight. Type 2 diabetes is just one of the health risks of obesity. It occurs because being obese puts extra stress on the cells, affecting the insulin receptors. Common symptoms of diabetes include extreme thirst, frequent urination, headaches and infections that take a long time to heal. Having too much body fat means your heart has to work harder to circulate your blood. This puts pressure on the walls of the arteries. High blood pressure usually doesn’t result in obvious symptoms, so you should talk to your doctor if you’re at risk for this condition. Obesity can lower the levels of good cholesterol in the body, which in turn can increase the risk of stroke and heart disease. These conditions are often life-threatening, so it’s important to get to a healthy weight as soon as possible. Obesity can also lead to sleep apnea. This is a serious condition that causes you to stop breathing for a few seconds at a time. Sleep apnea not only reduces your quality of sleep, but it can also deprive your brain of oxygen, which can result in life-threatening health problems. The only way to avoid these and other obesity-related health problems are to lose weight. Of course, that’s easier said than done. If you’re having trouble losing weight with a healthy diet and regular exercise, you can talk to a doctor about other options. One method of weight loss right for some obese people is surgery. 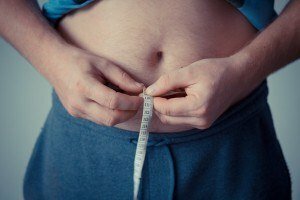 There are several types of weight loss surgery you can look into if you need to lose weight quickly. They include a gastric sleeve, gastric bypass, and the Lap-Band, to name the most common options. With these surgeries, the point is to reduce the capacity of the stomach so you do not need to eat much to feel full, which should lead to major weight loss within months. Of course, the effects of weight loss surgery are meant to be permanent, so talk to a medical professional to make sure you are a good candidate. Once you qualify, you can look forward to enjoying a healthy weight faster than you might imagine. © 2019 Birmingham Minimally Invasive. All Rights Reserved.